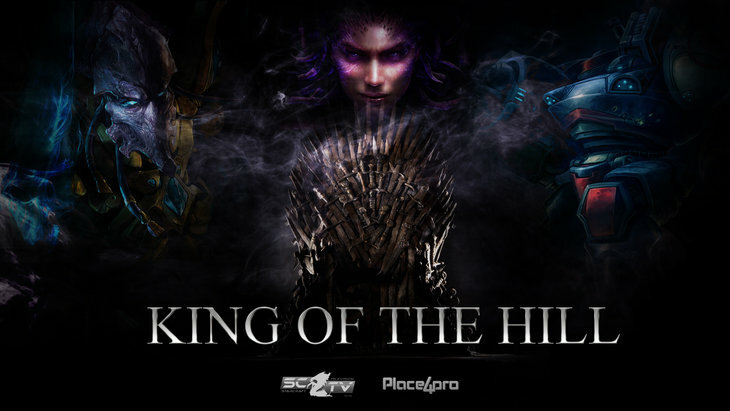 Portal sc2tv.ru, organizer of Ritmix RSL, with sposorhip of place4.pro are proud to announce weekly KotH with notable StarCraft 2 players. $1oo each week. Winner takes it all. Loser pick from HotS ladder maps. Abver race switched for HotS? Start in 25 minutes! Stream will be here! Very nice, go go Dimaga! 6-3 or someghing like this i guess. Why doesn't he leave a couple of sieged tanks behind when he goes to attack, Dimaga always does counterattacks. OK! Next time we'll do. Why does Turuk get to play if Dimaga won? I think I didn't watch game 9, so I'm not sure if that's a mistake in the OP and Turuk actually won. Ah, I think Dimaga is going on the honeymoon trip he won, right? That would explain it. Any english commentator for this? TuruK is doing decently, it seems. Hyun doesn't look like he's playing his best, looks a bit off for some reason.